The NBA G League announced a ‘Professional Path’ program that would offer $125,000 contracts to elite high school prospects. The Front Office breaks down the benefits and risks. The G League announced Thursday the inception of a new ‘professional path’ for top high school prospects, and the creation of ‘select contracts’ worth $125,000 in salary meant to accommodate those players and offer a viable alternative to playing college basketball. These 18-year-old prospects would spend a year on a G League roster, then be eligible for entry into the NBA draft, where their rights would make them available to all 30 teams. This news is the latest development in the ongoing reform of the American amateur basketball system, and one worth monitoring as the NBA moves toward an eventual removal of its age minimum, which looks set to happen in 2022 at the earliest. The G League is not glamorous, but it has become a highly stable professional environment, the on-court product has improved, and it won’t be long before every NBA team has a direct minor league affiliate. It’s clear that there is impetus for change, and between the NBA, NCAA, NBPA and USA Basketball, expect more to come. For now, we just have some questions. What are the benefits for top players? No matter your trade, you can understand the sensation that accompanied the first time you were told you didn’t have to go to class anymore. In a vacuum, this is a great opportunity for young professionals to learn their craft—think of it as a trade school. It’s inarguably the most viable professional pathway American high school players have had since the NBA instated its age minimum. Elite prospects who are serious about basketball and less concerned about the accoutrements—as difficult as they can be to find in an era where social media has turned teenage players into quasi-celebrities—can double down on their hashtags, begin to strive for greatness and begin securing the bag, starting next fall. The G League lifestyle is not a cakewalk for anyone, and will be a wakeup call for high school players expecting preferential treatment. The league is made up of players who were very good in college, are grinding for their next paycheck, be it in the NBA or overseas and need the G League’s platform for one reason or another. Many of these guys have gone through trials of their own. There are few Jared Dudleys or Tyson Chandlers with the time or security to take a rookie beneath their wing. The G League can offer infrastructure and education for these guys, but on the court, it’s serious business. The odds of any 18-year-old being able to immediately contribute every night and stay productive within a rigorous schedule are rather long. The long-term monetary risk remains that these players are at risk of being exposed (read: they look like teenagers playing against 25-year-olds, which they are) which can directly affect their draft stock (read: long-term earning potential). Recent drafts have shown that having some level of mystery about you can really be helpful—for example, Mitchell Robinson fell to the early second round this year, but landed in what appears to be a good situation in New York. He came away with two years of guaranteed money that puts him in the realm of what late first-round picks are making. 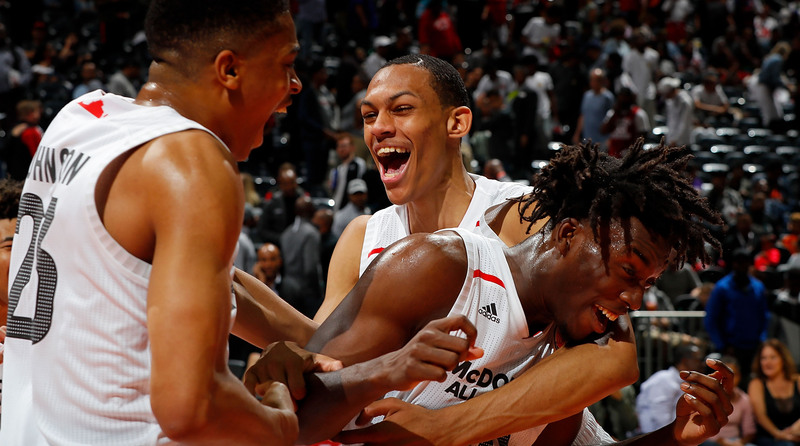 Recall the case of Darius Bazley, the All-American forward who was set to enter the G League draft this year as a sort of guinea pig, but who changed his mind after aligning with power agent Rich Paul. It wasn’t really about the money for Bazley—it was about weighing the real gains that could come from being a toothpick-thin forward with few discernible skills thrust into a basketball situation that was out of his control for a year. I’m less concerned with G League teams mishandling players’ development—after all, these are coaches who are working their way up the ladder, too—but it is simply not easy to be a young player in that environment, with a target on your back, making more money than your more-established teammates and opponents, and in many cases, receiving high-level coaching for the first time. Prospects in this position are going to have to weigh the same type of problems, and whether the money splits the difference. It’s possible that the players who end up signing these contracts are the Robinsons and Brian Bowens of the world, who for one reason or another become ineligible or uninterested in playing college hoops, and see this as the best choice. Well, it’s absolutely better than the previous, $35,000 G League entry-level alternative. But say you’re a can’t-miss, top-ten high school recruit, who at the very least is considered a very safe bet to be a first-round draft pick and thus, earn a rookie-scale contract. Is one year of *taxable* professional salary enough recompense for risking at least some portion of the future earnings that await? You can factor in small sums for endorsement money and larger ones when it comes to obtaining a shoe deal. And the fact of the matter is that Joe Ballplayer is, nine times out of ten, worth way more money to Nike wearing the swoosh while draped in Duke blue than as a member of, say, the Sioux Falls Skyforce. The 30th pick in the 2018-19 draft will receive upward of $1.3 million in first-year salary, each preceding first-round draft slot comes with incrementally more money built in. If the G League is really going to come for the upper crust of prospects only, then they’re coming to recruit players with a substantial chance of making that much at bare minimum in a year’s time, regardless of what happens during their one year in college. I’m not a financial analyst, but these kids are going to need to figure out what an upfront sum really means relative to the risk inherited by a G League season. Plus, between colleges, shoe companies and agents, the best players can still command $125K under the table anyway. Why are these kids making more than WNBA players? One controversial aspect here is that the WNBA’s maximum salary is $110,000, and these players will make more than that over five months if they sign a G League contract. While the hope is obviously that WNBA players will be able to make more money and that the league will receive more investment, the NBA still has to pay these future prospects enough at face value to get into the conversation for their services financially. The $125K is a relevant number in WNBA’ players’ argument for higher salaries, but that’s a separate issue—substantial sums of cash are going to be necessary for the G League to even get in the room with these players. How does this impact the G League product? How these players are allocated and the other ramifications of these select contracts are something that will have to be ironed out quickly. Presently, the G League draft takes place in reverse order of finish, and there’s theoretically nothing stopping NBA teams from instructing their G League affiliates to tank so they can bring in a specific player and have him in their system for a season. That one-on-one time is a free, intimate evaluation of a promising prospect. Although that team may or may not end up in position to select him in the NBA’s draft, that information is always useful. 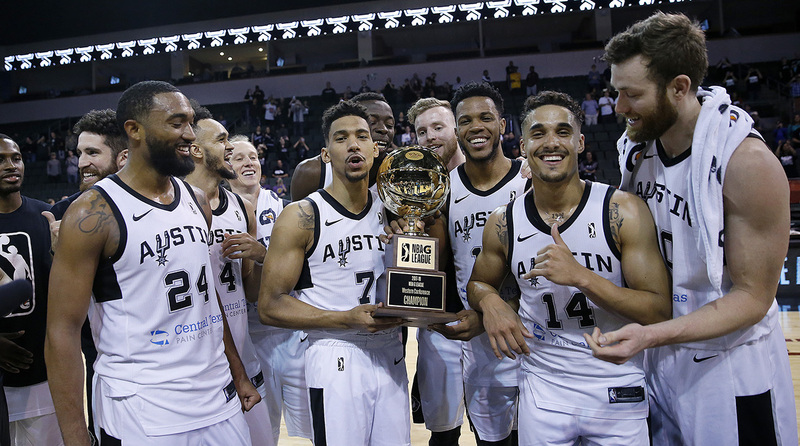 There are a whole range of ramifications for G League teams to consider here, and it will take time to see the ripple effects. Isn’t being a college athlete pretty fun? At risk of sounding like an 75-year-old politician, no, college athletes don’t get paid (legally), but they do get to enjoy life on campus for a year, and all that comes with it. These are human beings we’re talking about, and pretty much every 18-year-old on the planet can learn something about themselves by going to college, however brief their stay. I’m not hawking the raw monetary value of a degree or going to class—freshman year of college is just a life experience that these guys will never really get back. Rise to prominence as a college star, and you’ll have some level of name recognition, at least locally, for the rest of your life. There is a certain pull that comes with playing for a blue blood program, following in the footsteps of past greats, traveling on private jets, living in cushy dorms, and being the coolest people in the dining hall. Those fan bases tend to treat their former players well. It’s probably better than having the majority of your day to yourself, living in Canton, Ohio, and having money and time on your hands. Some college programs will sweat this news, but it feels like another recruiting obstacle at this stage, and until the G League decides how aggressively it will court these players, it’ll be tough to say if any teams will lose big. The NCAA may be a quiet winner here, as they won’t pay players and can now simply point frustrated parties to this option. Time will tell if college basketball’s on-court product suffers as a result.